The Epson 4900 is Epson’s introduction to multi-channel printers, meaning they it supports more than the standard CMYK print channels. This 10-color printer offers a wider gamut than standard 8-color printers. If you print rich colors using green, oranges, and reds, this is a great set. If, on the other hand, your images don’t regularly make use of these parts of the spectrum, this printer is much like using a mallet on a finishing nail. Furthermore, American Inkjet Systems offers two ink sets for this printer that produce an even wider gamut of color. 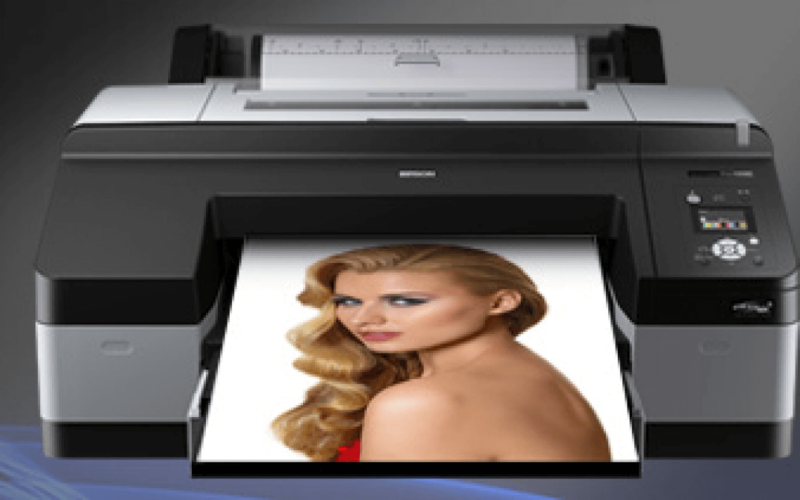 The 4900 series utilizes Epson’s latest head technology, MicroPiezo TFP. This printer prints fast, produces sharp dots, a wide gamut, and is easy to handle. With two blacks in the printer, it’s very easy to swap quickly between gloss and matte black prints. The electronic parts in this printer are easy to clean, and you can clean groups of heads instead of the entire ink set. Epson locks users out of the printer for head replacement, as well as counters, probably with the intention of keeping third party inks out of their printers. The many electronic parts here are all potential points of failure that may eventually need repaired. While the printer has individual slots for both matte and gloss black, the two inks utilize the same print head, so keep this in mind depending on your application. Cost of repair is over twice that of previous models. Average head replacement costs around $1800. The cost of replacing the capping station is also about twice as much as previous models. This head is more sensitive to the structure of ink and is more likely to clog on low-quality inks. This can be mitigated through regular use of our cleaning fluids, which help to prevent clogs, even in very dry climates, before they even happen. We suggest buying the extended warranty plan for two years. Plan to replace the capping station every three years. Overall, this printer has the most potential of any on the market and and is the one we have put the most attention towards.